Protect your computer and data for free thanks to the military! Subscriptions last for several years. 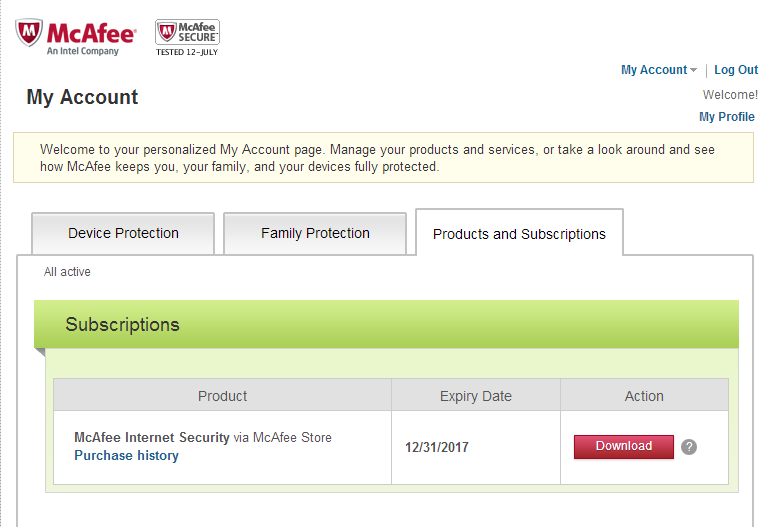 For example I downloaded McAfee Security in 2015 and it lasts til December 31, 2019. Thats 4.5 years of free awesome protection!!! Normally a yearly subscription can be over $50 so that is a savings of $200!! 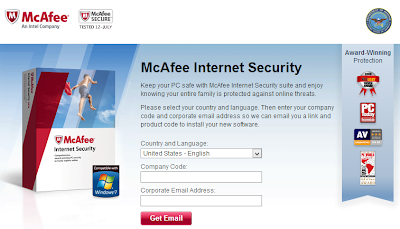 Step 2 - Decide if you want to download Symantec(Norton Antivirus) or McAfee. They are both available for Windows and Mac. If you want to download symantec click the link "download" which will began to download the file. 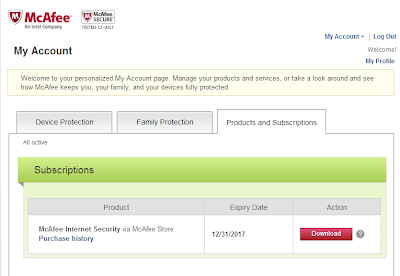 Step 3 - (specific to McAfee) This will bring up a webpage (see below). Enter in your company code (DODFDD02C8 for PC) and your Military email address. This will send an email to your inbox. Step 5 - Finish the download and you are DONE!!! You can visit "My Account" to manage your subscription. My subscription goes until December 31, 2017.
can you do this for multiple computers? In the past I remember burning the program to a cd from a site so we could use it on our desktop and two laptops. When I used the email link it worked on my desktop but when I try to do it on the laptop it says that code was already used. I can't seem to see anywhere information about using it on multiple computers, do you know anything about this? If you are active duty or have CAC Access to a .mil email you can get Mcaffee free. I am active duty military, how would I be able to get it for free. What if you are unable to access your military email do to credetials and certificate issues with a laptop? Could you use a different email? I'm pretty sure you have to login in with a military email or your CAC Card. Is this just for Army? Can I use it on a home laptop?